Step By Step HVAC mold removal. Remove the air filter, and any other covers. 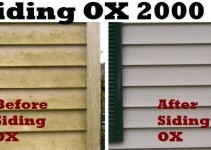 Apply Mold Killer to all available surfaces. 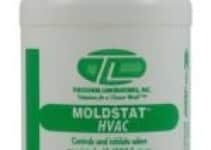 Soak the outside coils with the MoldSTAT Plus mold remover. If the mold scent only comes from a couple vents, you could start by just treating those vents, and expand the project to the entire system if that doesn’t resolve the mold smell. After DIY air duct mold removal if the mold problem doesn’t go away, you could either retreat or feel confident that the problem is truly larger than a DIY project, and hiring a air duct cleaning specialist is really necessary.